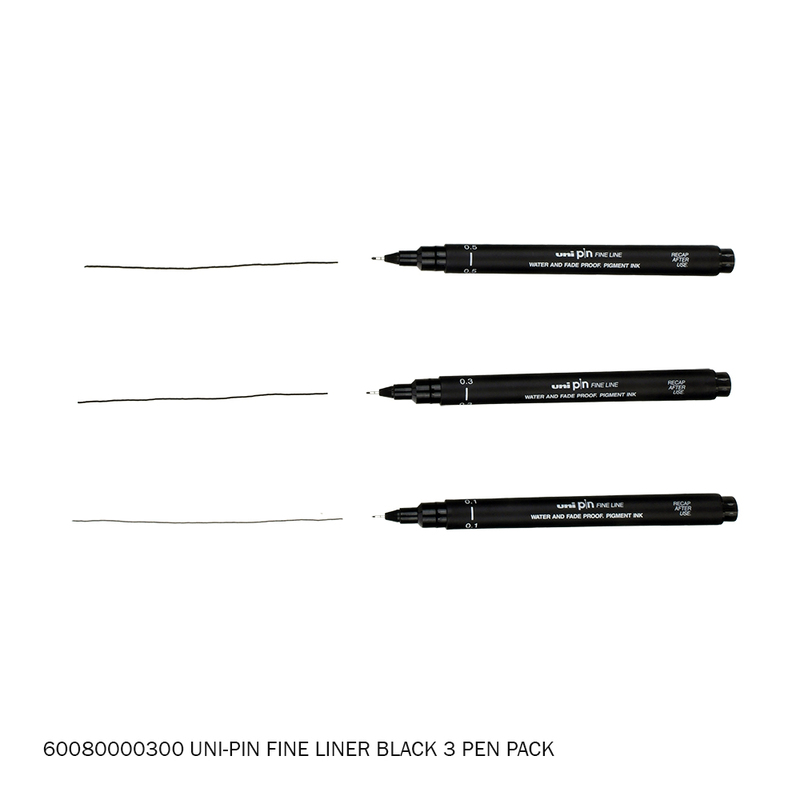 Uni-PIN Fineliner Black 3 Piece Pack contains 0.1mm, 0.3mm, and 0.5mm line sizes. 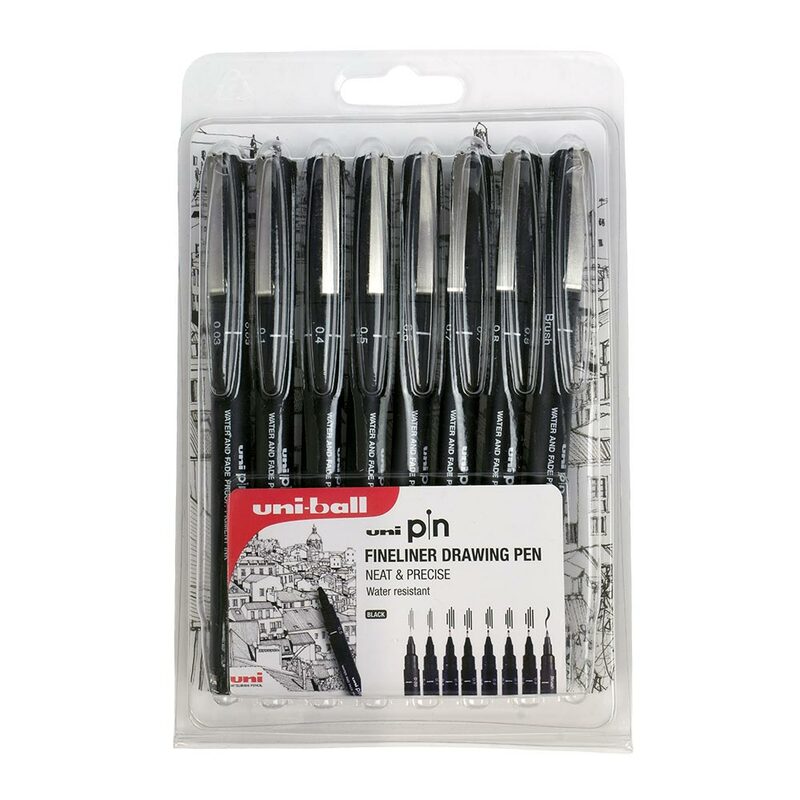 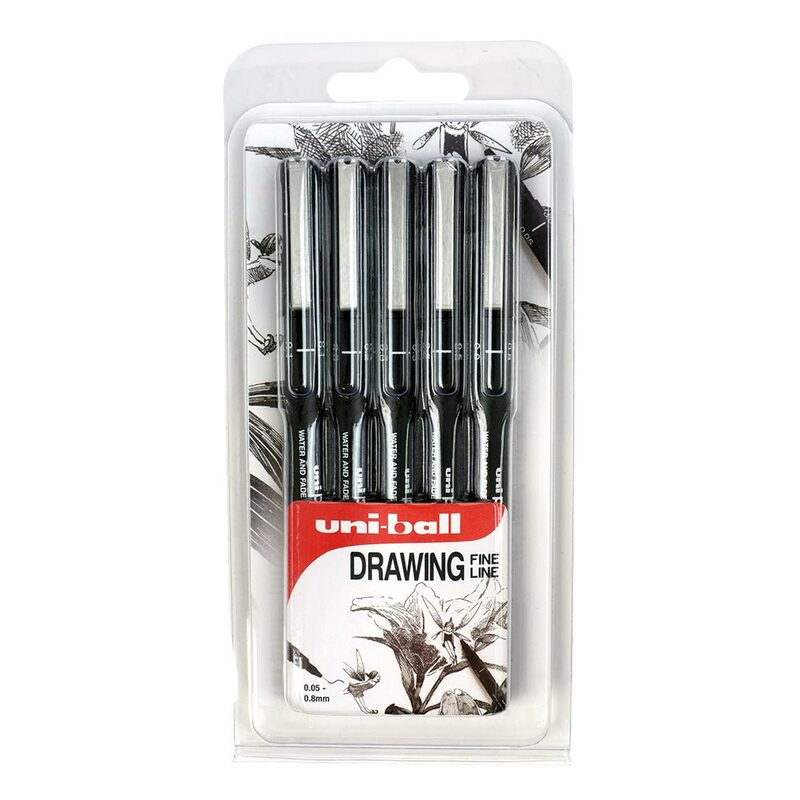 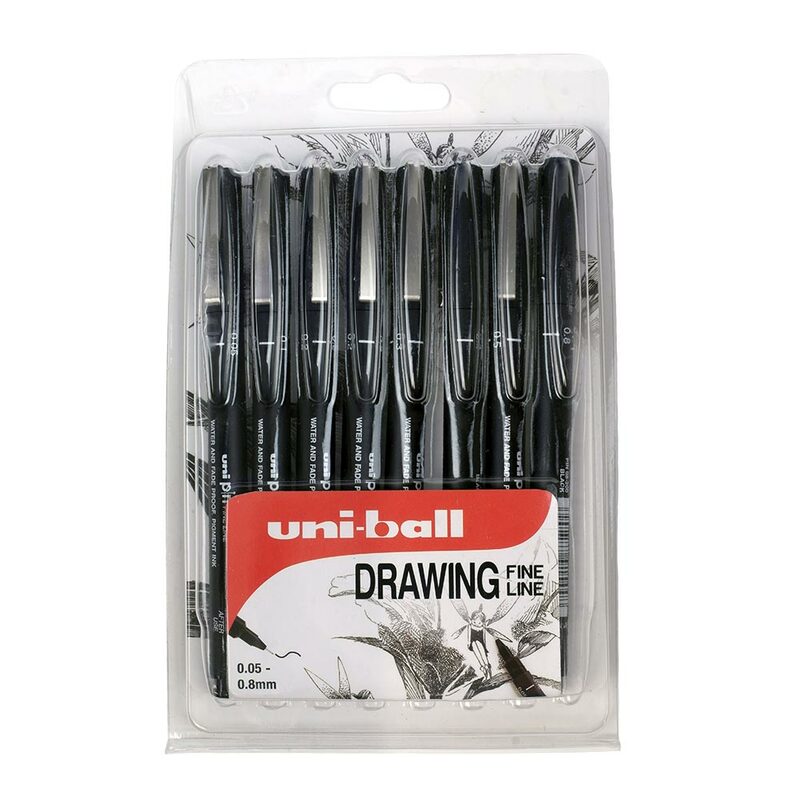 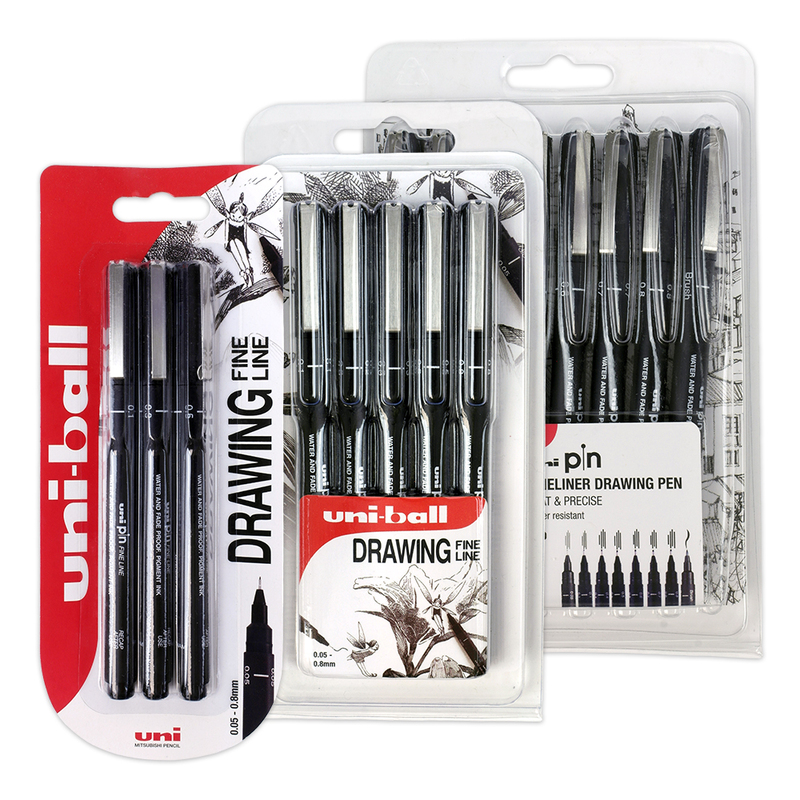 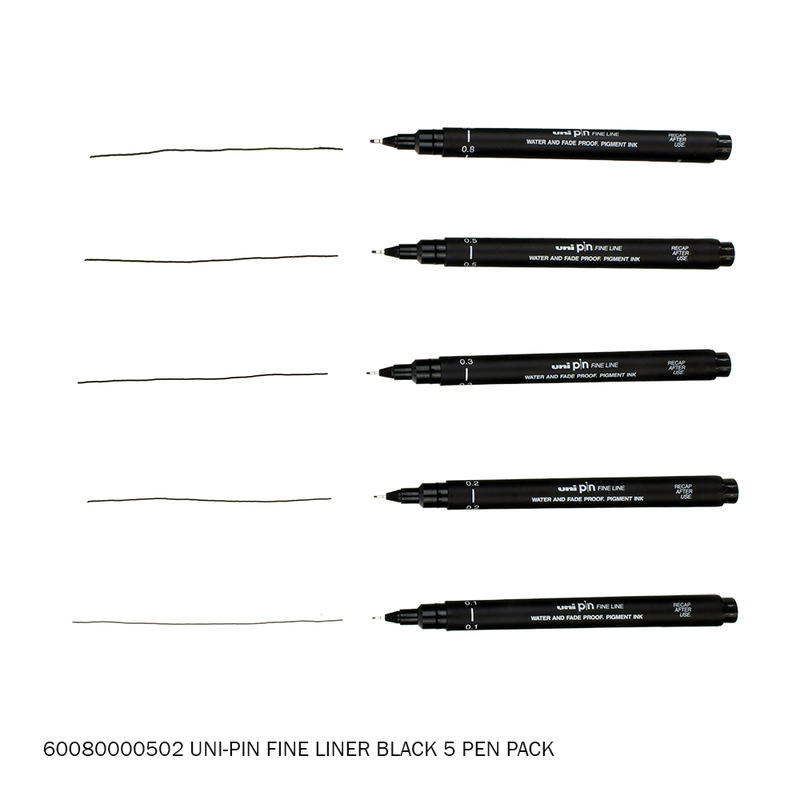 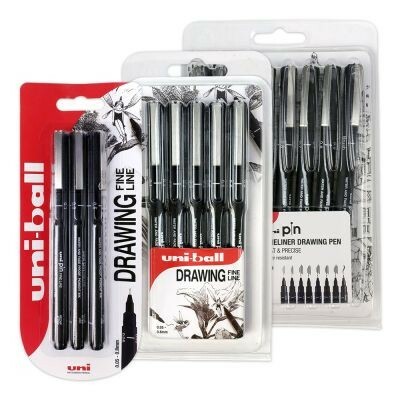 Uni-PIN Fineliner Black 5 Piece Pack contains 0.1mm, 0.2mm, 0.3mm,0.5mm and 0.8mm line sizes. 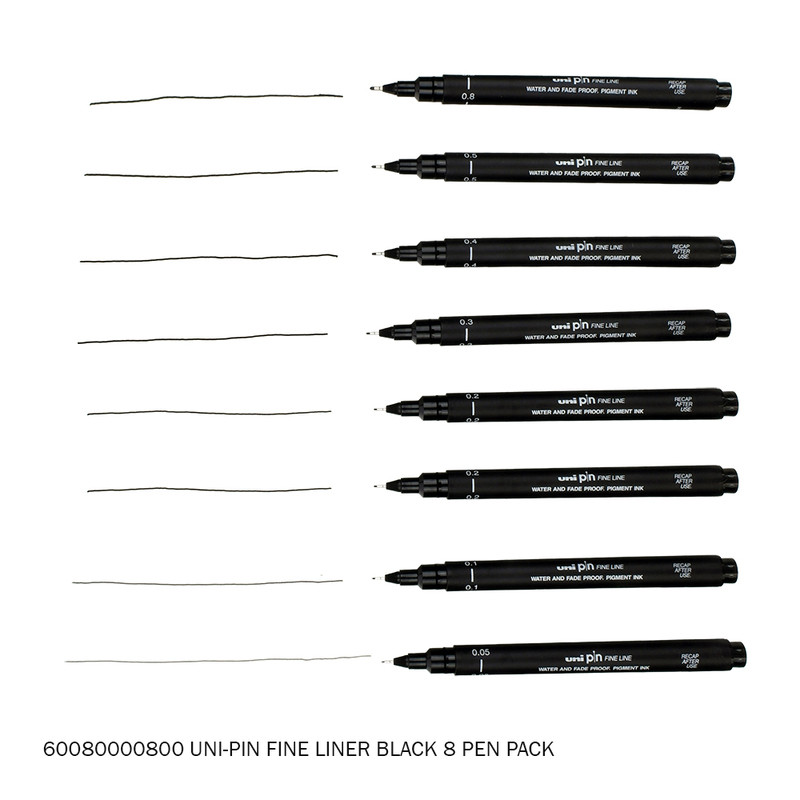 Uni-PIN Fineliner Black 8 Piece Pack contains 0.05mm, 0.1mm, 0.2mm (x2), 0.3mm, 0.4mm, 0.5mm and 0.8mm line sizes. 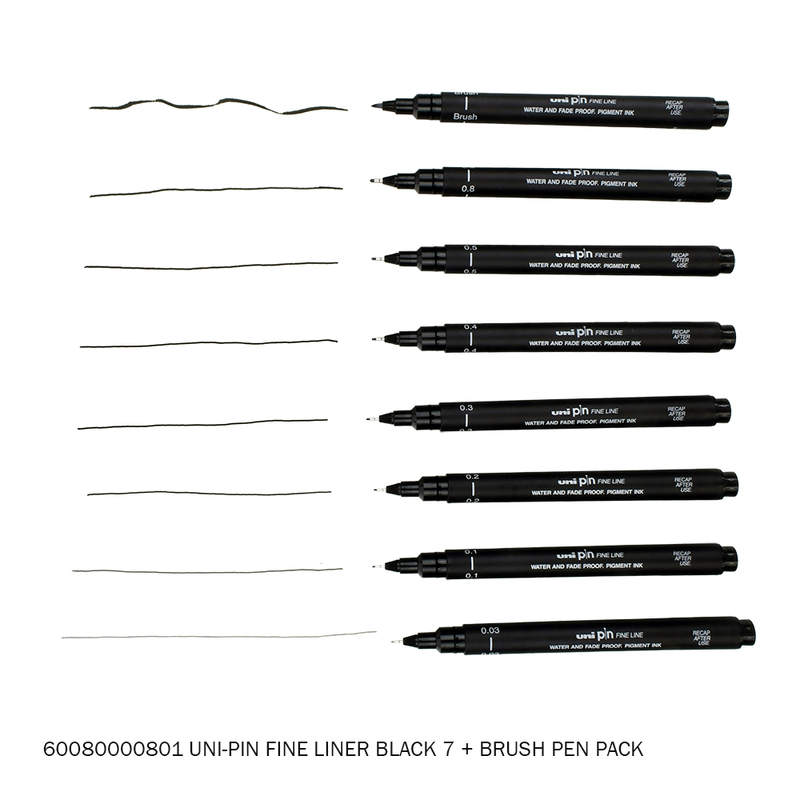 Uni-PIN Fineliner Black 8 Piece Pack (Incl Brush) contains 0.03mm, 0.1mm, 0.2mm, 0.3mm, 0.4mm, 0.5mm and 0.8mm line sizes PLUS BRUSH PEN. 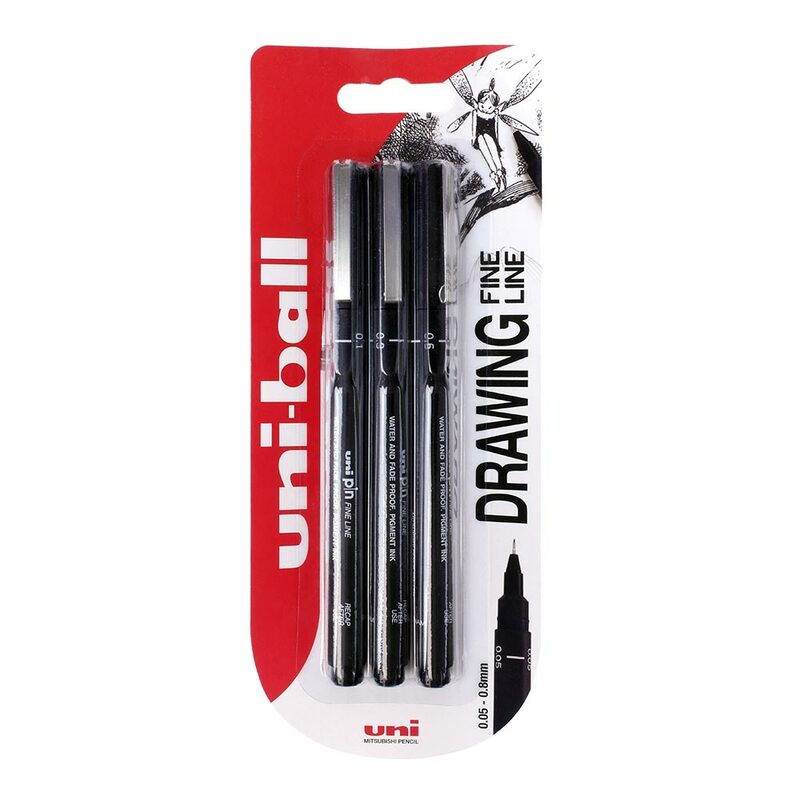 Single Uni Pen Fine Line Pens are also available.